Bloody off-roaders! Not content with trashing the Berwyn mountains and Llantysilio. 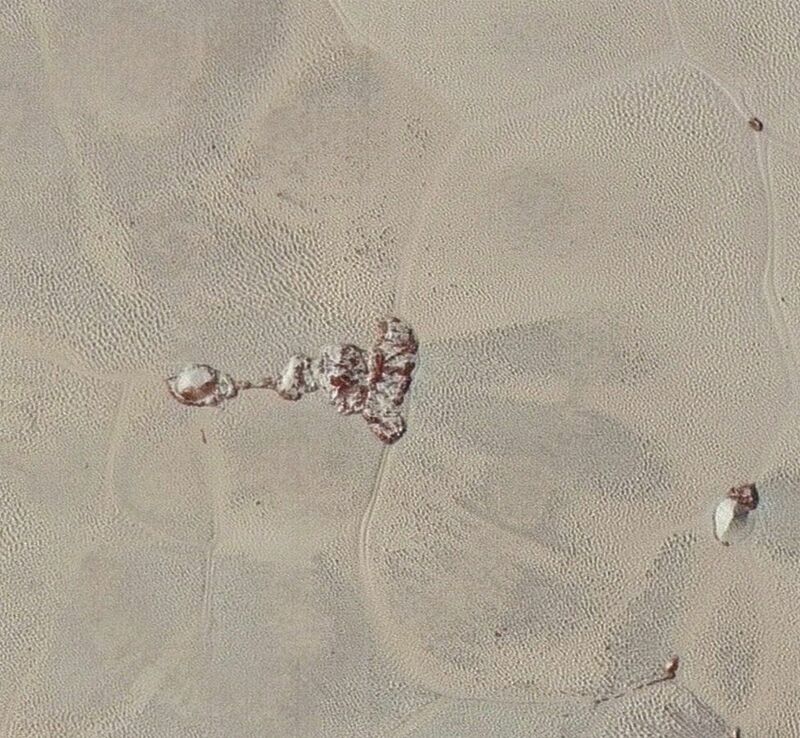 Now they’re driving their 4x4s all over Pluto too. Pic courtesy of NASA via BBC pages. My wife, Keri, has achieved immortality of a sort. 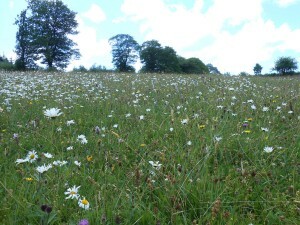 Twenty odd years ago, we started a project to turn 11 acres of monoculture upland sheep pasture into an oasis of nature. Over three winters, I watched as she toiled in driving sleet and rain to spade in each day’s quotient of trees. More than 5,000 oak, birch, holly, rowan and ash were planted along with the remaining strength in her back. She didn’t crow about it, but quietly, satisfied, started to interplant with other trees and woodland plants. Together we dug ponds, erected hundreds of birdboxes and generally set about making it a home for all but humans. Years later, to celebrate this achievement I had Ordnance Survey rename that parcel to Coed Keri and planted this commemorative stone. 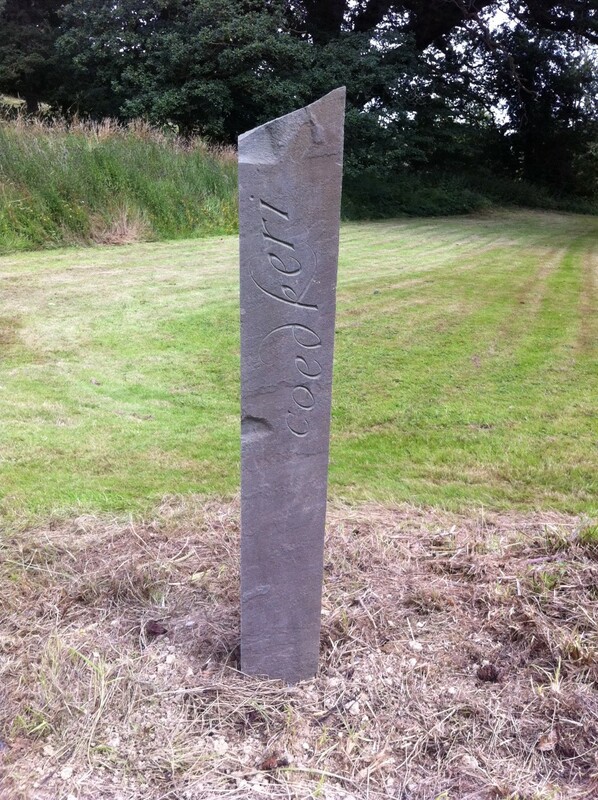 Today, Coed Keri, vibrant like never before, is left to the wildlife of Denbighshire, but the stone moved with us to Powys, and just got replanted in our garden in Meifod, where we started the process all over again. 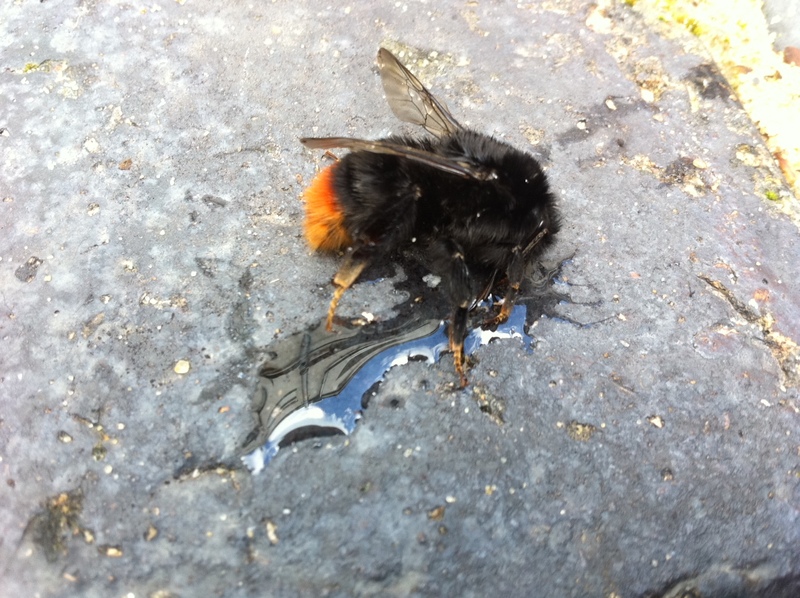 FIrst aid for ailing bumble bee: 1 drop honey, 3 drops water, mix and apply to paving just in front of the patient. You can just see his tongue between front and rear leg. This invariably revives them. 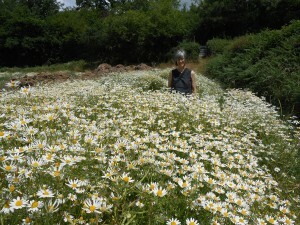 A field outing to rural Herefordshire. 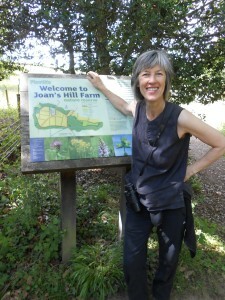 A walk from Fownhope up to Joans Hill Farm, Plantlife’s perfectly unimproved hay meadow reserve. A true delight for wildflower lovers. 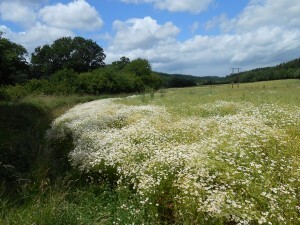 Passing through acres of camomile interplanted with lupins along the way and some gorgeous 25KvA power line poles. 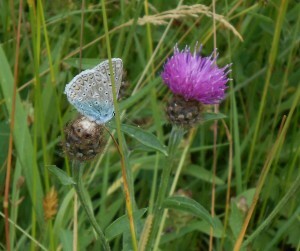 And guess the butterfly you lepido types ?? All rounded off with lashings of Hereford Pale Ale. After Herefordshire, we drove on into north Borsetshire. 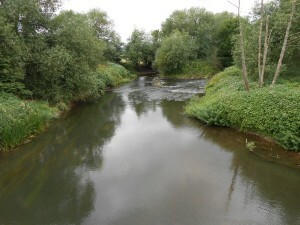 Here, a couple of miles west of Felpersham, we came to the confluence of the rivers Am and Wye. And a nice pint of Shires in the Darrington Batsman Inn to round off a perfect day. 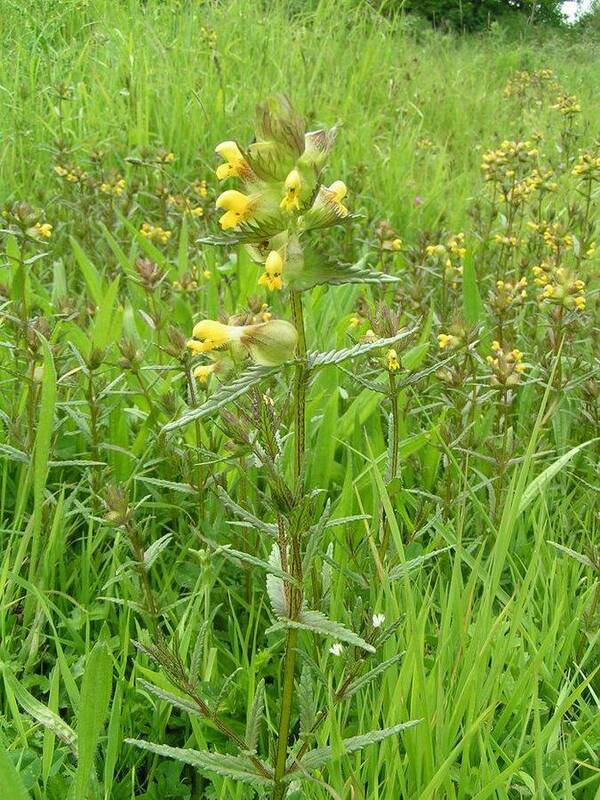 Went back to check on a small colony of Yellow Rattle growing on the roadside near Llanwddyn (Vyrnwy) and which was about to set seed. Alas, the verge cutter beat me and the flowers to it. 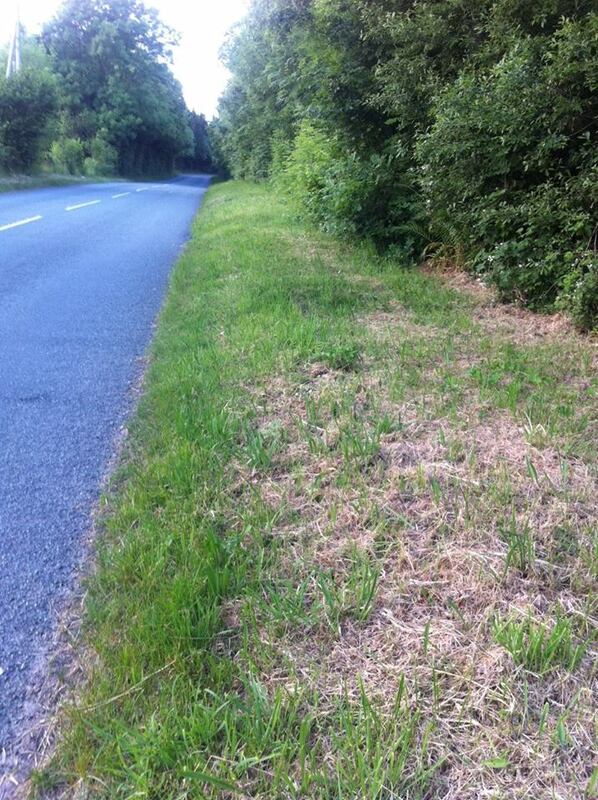 Not quite locally extinct, but a step in that direction all in the name of tidy verges.